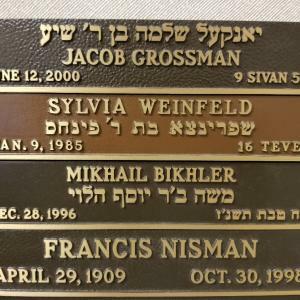 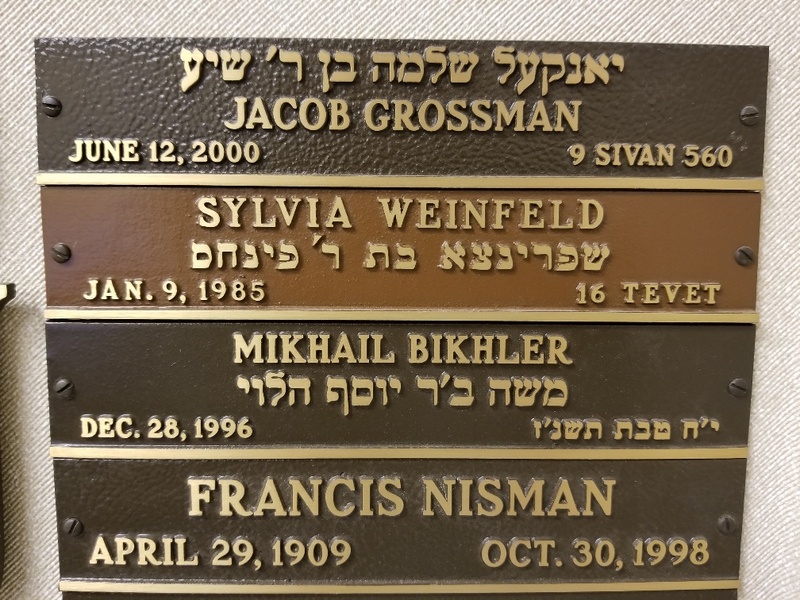 Nameplates in any size or material are manufactured for any memorial board or wall. 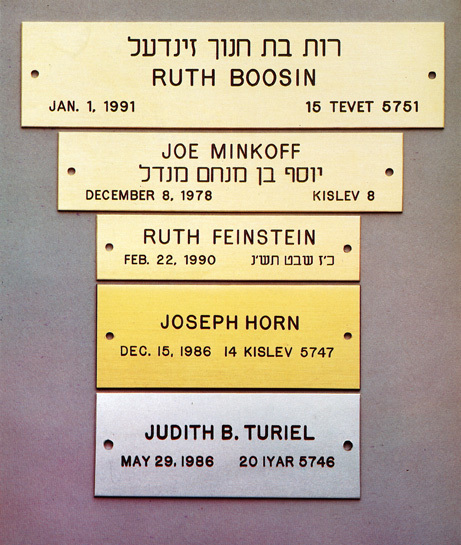 Cast bronze and aluminum, Corian®, glass and brass are a small sampling of the materials nameplates are fabricated in. 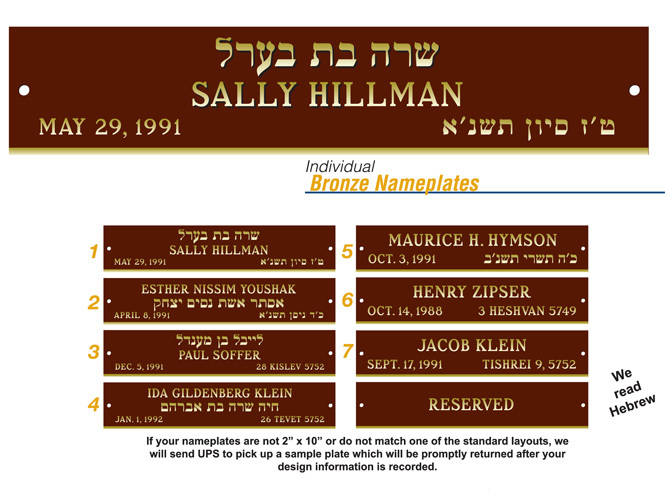 Copy can be sublimated or engraved on any metal plate. 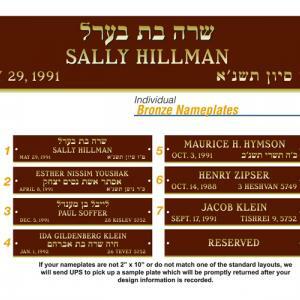 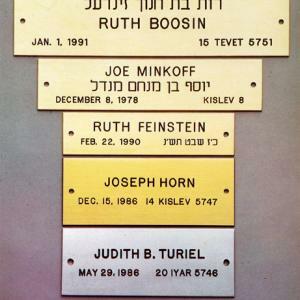 Contact us for Yahrzeit nameplates.